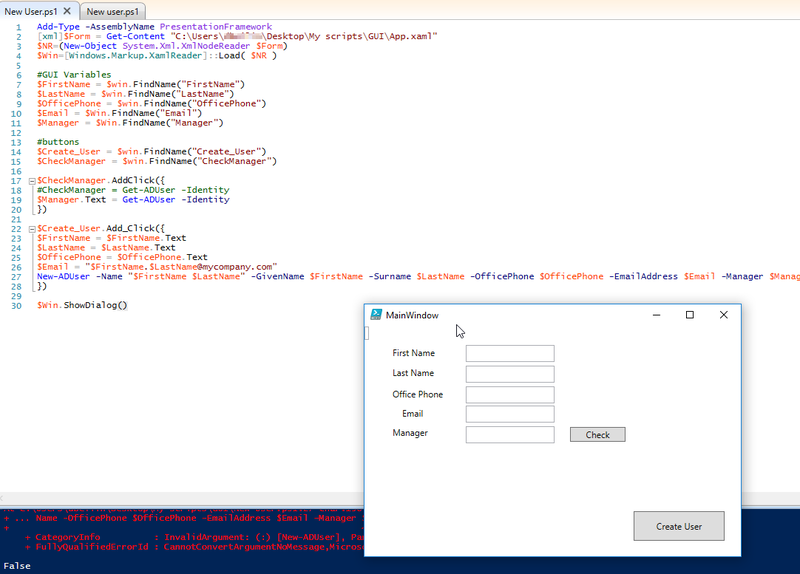 So I’m slowly working on my new employee script, to add an active directory user. I’m ‘designing’ a GUI for this and I would like to tweak a small thing but don’t know how. It works great, when I click “create user” it fills the email attribute as I described, but now I would like it to also fill the same conent inside the “email” textbox. Other way of explaining this: I want it to automatically add whatever I type in “FirstName” textbox and “LastName” textbox and to add @mycompany.com after it. Anyone has an idea how do I do this?